This exhibition tells the story of the double diaspora of the Gujarati people, many of whom left the westernmost state of India in the 19th century to develop the trade and the industry of ports in the east and south of Africa, before being forced in the 1970s to leave their African homes and communities to find refuge in the UK and other countries. Anyone only partially familiar with the story of this population will find plenty of treasures in the exhibition, which is dominated by the oral and video testimonies of Gujaratis living in Croydon (host to one of the largest Gujarati communities in the country) and other parts of London and the UK, and by objects and artefacts loaned by ordinary people and by academics and historians. These oral histories and personal testimonies clearly shaped the narrative of the exhibition. 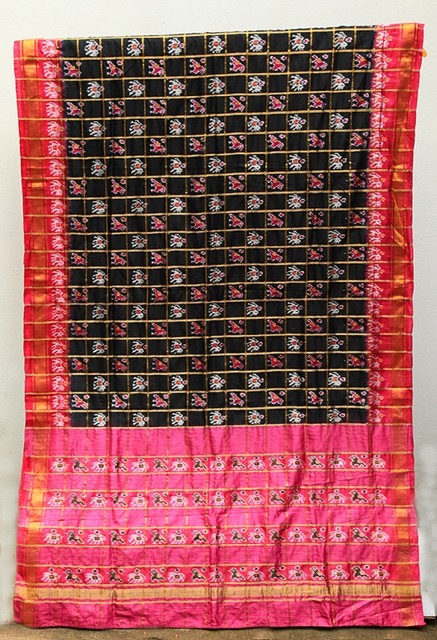 A vibrant display of textiles, metalwork and other materials captures the resilience and the creativity of these displaced Gujarati communities, and shows both how they strove to preserve the art, language, food, literature and religion of their people and also how these were in turn adapted by the countries to which they migrated. 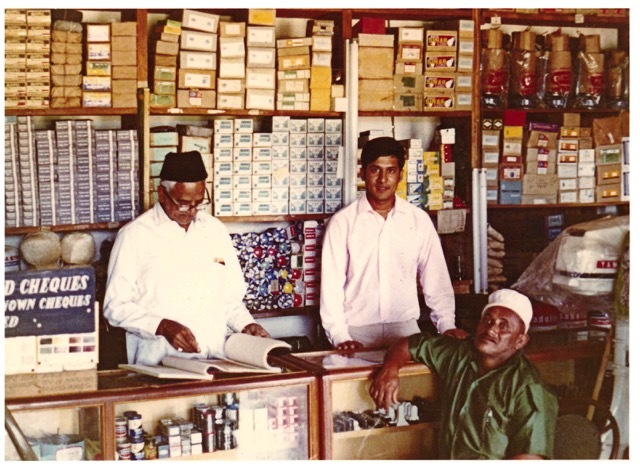 It shows how the ‘dukawallah’, who established shops and stores along the east African train line, went on to set up corner shops and stores in Britain and other Western countries, in the process contributing to the change in shop opening hours that eventually led to Sunday trading. 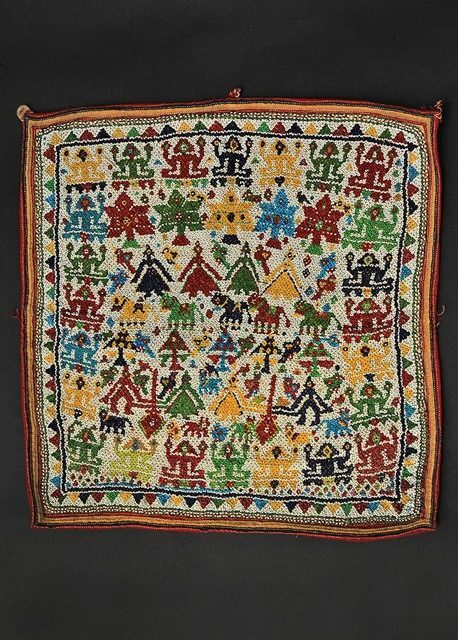 It demonstrates how the culture of the people shrugged off differences in religion and belief (the state of Gujarat, while predominantly Hindu, also had significant Muslim, Sikh, Jain and Zoroastrian populations) and how indeed these differences often refashioned cultural templates, which you can see in particular in the evolution of different textile forms. And it reveals – through its stories of everyday racism, the Grunwick strike and the extraordinary success of certain individuals – aspects of migration and settlement that will be familiar to people from different cultural backgrounds. Intriguingly, from the Migration Museum’s point of view, many of the decisions made by the two curators of the exhibition, Rolf Killius and Lata Desai, match decisions made in our own exhibitions – and vindicate the approach! Not only have almost all the artefacts on display been loaned to the exhibition by ordinary citizens, but the examples of embroidery and other stitchwork adorning the walls downstairs in the cafe area are also all the product of people who have attended the workshops run as part of the overall exhibition. Many of these pieces have been produced by people who had not stitched anything before attending the workshop. In addition, the oral testimonies that accompany the individual displays represent precisely the kind of spoken record that we aim to develop in our own Migration Museum. The whole display is a wonderful, colourful, affirmative account of the ability of a people to navigate its double diaspora and to keep intact its spirit and its sense of cultural identity. We urge you to go and see it! 1As part of the same exhibition, Croydon Now Gallery showcases oral histories and travelling objects (to 14 April 2018), and there is a sari exhibition in the Clocktower atrium (to 26 February 2018) and an embroidery exhibition in the Clocktower Café (to 27 January 2018). Gujarati Yatra is open until 14 April February in Croydon Now Gallery, and a season of events has been woven around its six-month residency – family days of art and crafts, talks, film screenings, literary events and dance productions – all designed to show how the Gujarati identity is maintained in the UK. The curators are currently contacting other museums and community organisations in order to tour the exhibition to other places in the UK.